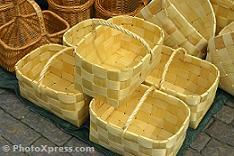 Here you will find a variety of homemade gift basket ideas. Gift baskets… I know what you are thinking – Boring…A wicker basket filled with some goodies in cellophane wrapping and a nice curly ribbon – Nothing personal or creative. Well…It doesn't have to be like that. Select an interesting theme that is close to the recipient's heart, add a little creativity and…You get a great unique gift basket with that personal touch and intimacy that was missing. 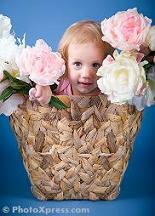 Here are some gift basket supplies ideas. Birthday Gift Basket Ideas - One's Birthday is that one special day in the year that is all about him. Birthday gift basket is a wonderful way to put him in the spotlight and let him know how much you appreciate and care for him. Graduation Gift Baskets - High school graduation gift ideas that will help your grad easily adjust to college life and living in the dorms. Car Supplies Gift Basket - Car supplies gift basket is a wonderful gift for almost everyone. Most of us own a car. We drive it from place to place, clean it and take care of it on a regular basis. Vacation Gift Basket - Everybody have their own perfect vacation dream. Some are already planning it and some are still dreaming… Our vacation gift basket is a wonderful gift in both cases. If you are looking for some more creative gift basket ideas you should really check out our gift basket making ideas section in the "Find Me a Gift" service - browse for ideas or pop your own question.